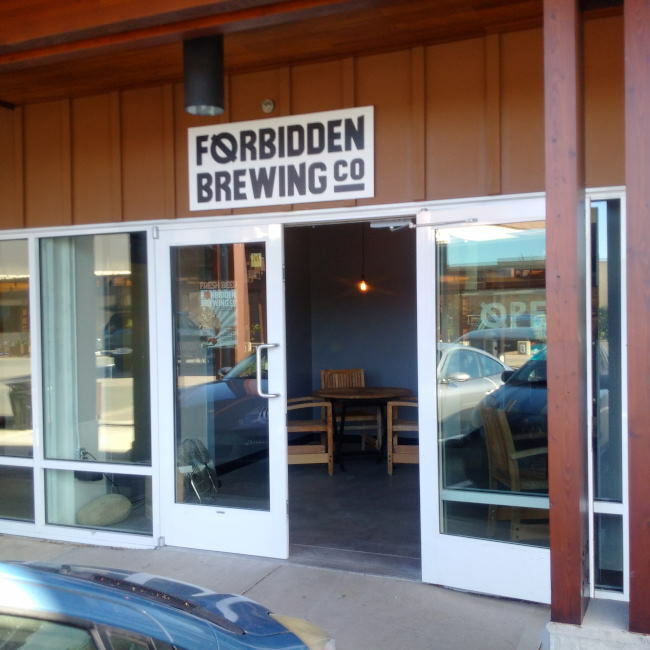 From the Nano Brewery Førbidden Brewing in Courtenay comes their “IPA” a beer only available in the tap room. The beer pours an orange colour with an off white head. The aroma consists of malts, earth, sweetness and some melon finish. 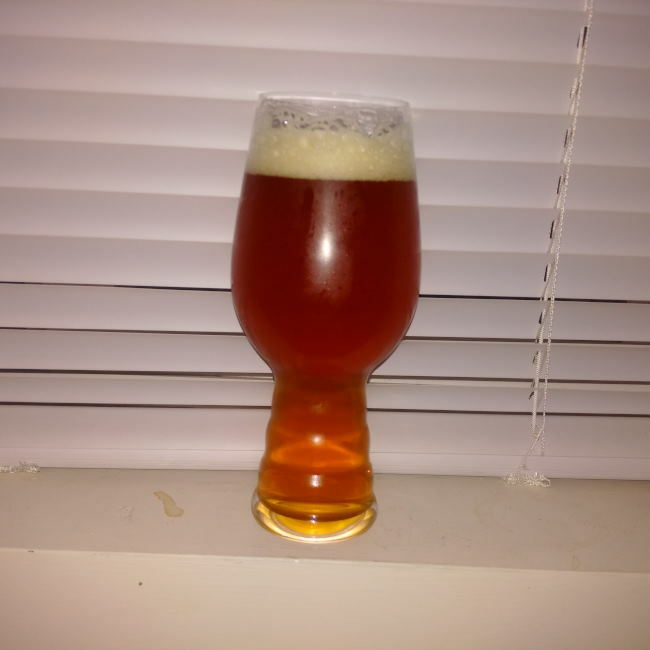 The flavour is of melon, citrus, tropical fruit, pine, earth, bitterness and a caramel finish. The alcohol content comes in at 6% with an IBU In the range of 60. I was quite happy with this first taste from Førbidden Brewing and I look forward to trying more of their beer in the future however that happens! After the Great Canadian Beer Festival in Victoria I took a quick (ok very slow) trip up to Courtenay on Vancouver Island to visit a few breweries. Førbidden Brewing is a Nano Brewery located inside the Westerly Hotel part of the Best Western Chain of Hotels and was my first stop. This Nano Brewery has a very good sized tasting room with a lounge license. Like so many other breweries in BC there is a great wood finish to so much of the tasting room. I think this is the largest tasting room for a nano brewery I have seen! The brewery was pouring their Pale Ale, IPA as well as a Shandy, Lone Tree Cider and the Hoyne Pilsner. I went home with a growler of their IPA so a review will be coming soon! I did not know that this brewery was only two months old as of my visit! To go with the Lounge License the brewery serves a limited food menu also including Burgers, Nachos, Fish Tacos and a Salad from the pub across the parking lot. I was not able to get a full tour of the brewery while I was in town as I was both in a rush and the staff on hand was not supposed to let people in the back. I was able to get a quick peak into the brewery to see the grain mill area and the brewing vessels. I wish the brewer had been there to both show me around more and explain the 6 – 50L vessel brew house and I wish I had more time but neither worked out sadly. A blog out of Ontario called Student Of Beer had a more full view of the brewery you can check out here.